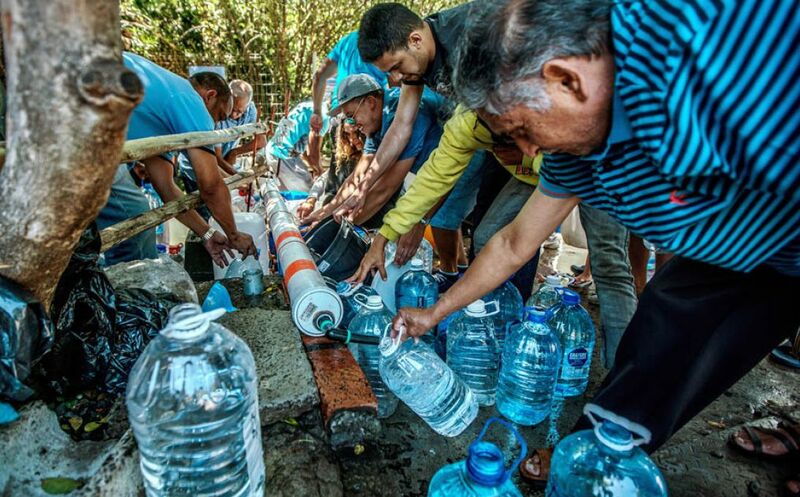 With Cape Town nearing ‘Day Zero,’ the world may be seeing a grim portent of a drier future. The Middle East and North Africa are most likely to suffer. Rainfall in these already dry regions is forecast to decrease by 20 percent by the end of the century because of climate change, while their populations are on course to double to 600 million by 2050. The five countries with the lowest renewable freshwater resources per person are all in the Middle East—Kuwait, Bahrain, the United Arab Emirates, Egypt, and Qatar—and Sanaa, Yemen’s dry inland capital, is expected to run out of water within a few years. But there are shortages across the world. Pakistan’s government has warned that the entire country will lack sufficient water as soon as 2025; cities including Beijing, Shanghai, and Mexico City are pumping so much water out of underground aquifers that they are literally sinking. In the U.S., water levels in the country’s largest reservoir, Lake Mead on the Colorado River, dropped 140 feet over 15 years and fell to 40 percent of capacity in 2015. Flash points often occur where a river or aquifer stretches across national borders, raising questions over who owns the rights to the flow. That issue has become one of the key sticking points in the long-running standoff between India and Pakistan. In the Horn of Africa, Ethiopia has almost completed a $4.2 billion project to dam the Blue Nile with a massive hydroelectric power plant—a scheme that could reduce Egypt’s share of water 2,00 miles downstream by up to 25 percent. “No one can touch Egypt’s share of water,” Egyptian President Abdel-Fattah el-Sissi warned last year. “Water to us is a question of national security.” Many believe water will become the oil of the 21st century, driving major geopolitical decisions and creating a dividing line between those who have it and those who don’t.